These people need to be stopped immediately! 1. Hello, 911? I'd like to report a lunatic. 3. Please tell me you didn't actually do this. 5. You drank HOW MANY?! 6. You shouldn't be allowed to walk the streets! 7. Have you lost it?! 8. This is dangerous behavior! 9. Please tell me this is photoshopped. 10. In the middle of In-N-Out?! my dad just took his shoe off in the middle of in n out to show me his socks. 11. She was carrying that... IN HER BAG?! 12. This 👏 is 👏 not 👏 normal. 13. I think I'm gonna be sick. 14. That's not how you use a menu! 16. Get your life together, you sicko! 17. What will the freshmen think?! 18. Good god, Frankie Muniz. NINE?! I just ate nine tacos. NINE TACOS. 19. I'm pretty sure this is against the law. 20. Think about your family! 21. A whole pound of it?! 22. 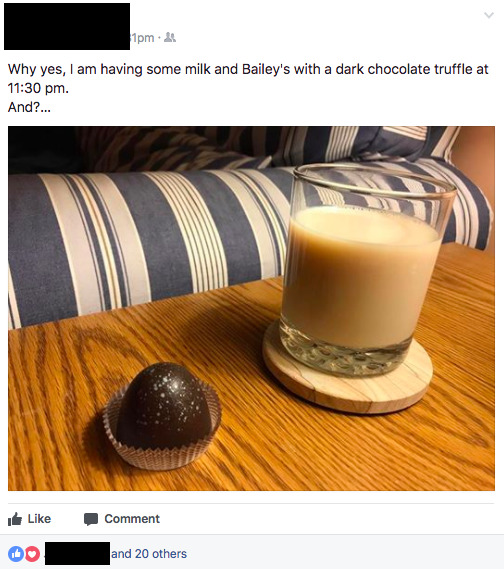 You're eating WHAT at 1 a.m.?! 23. Right in front of them??? 24. It's not too late to turn back! 25. Buddy, you need to clean up your act! 27. You're eating your sandwich as a WHAT?! 29. You mean to tell me this wasn't planned?! 30. That's not when you're supposed to eat candy! 32. Your license should be revoked! 34. Have you lost your mind?! 35. That's not how sandwiches work! 36. Stop messing with people's heads! 37. Glad to see justice was finally served.